You must have air conditioning and heating in your Pennsylvania home, but you know most HVAC solutions work through a duct system. But what if you don’t have a duct system? Your home may be suitable for a ductless, or mini split air conditioning system. If you think you may need ductless heating or cooling installation service in Greater Harrisburg, the company to contact is Zimmerman. What are Ductless or Mini-Split Heating and Cooling Systems? A traditional split air conditioning system cools air in one location and then circulates it around your home through your duct work. If your home does not have duct work, a mini split air conditioner or heat pump system, sends refrigerant to one or different individual units throughout your home that then cool or heat your home. 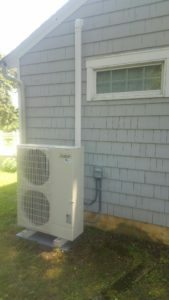 These systems utilize an outdoor condenser driven by an inverter which can connect to one indoor air handler or multiple indoor air handlers to distribute the conditioned air. There are also multiple indoor air handler styles, some can even connect to a traditional ducted system. There are hundreds of mini-split combinations which any of our comfort specialists can customize for an entire home or a single room. 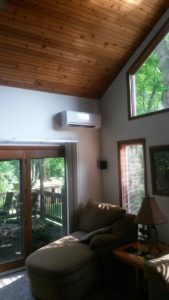 Many ductless system applications include sun-rooms, basements, master bedrooms, bonus rooms, whole-homes, or anywhere duct work or airflow is inadequate. Mini splits are extremely efficient, flexible, and a zoned solution for almost any home. Why Choose Zimmerman for Your Ductless or Mini Split System Installation? We specialize in mini-split heating and cooling installation and maintenance throughout the Greater Harrisburg area. Our years of dedicated service going above and beyond industry standards to offer the best installation, maintenance and service of your HVAC system is part of why we have been voted Simply Best for Plumbing & HVAC for 12 years and running. You won’t find a locally-owned and operated company more dedicated to customer satisfaction. When you call Zimmerman to install your ductless heating or cooling system, we don’t send just anybody. We only hire factory-trained and NATE-certified technicians that we’ve background-checked and verified as drug-free. Our installers arrive on time, are friendly and courteous and make sure not to make a mess, with drop cloths and shoe covers to protect your home while we work. Installation time varies according to the needs of the job. We’re not finished until we’re sure we’ve done the job right and you are totally satisfied. Once the job is finished, we always verify our installation with a 21-point system check to make sure that we installed everything and it is operating properly. We will also review everything with you to make sure you have a full understanding and complete satisfaction with our work. We’re sure once you’ve seen us in action and we’ve explained our process, you’ll be completely comfortable that you have made the right decision. But to give you further peace of mind with our company, we provide a one-year performance guarantee. We promise to do everything possible to install your system so it works exactly the way it should, and if we can’t make it work up to that standard within that year, we will refund or replace your equipment. We offer free estimates on your ductless heating or cooling installation, so you know exactly what is best suited for your home. If you’ve been suffering through hot summers or cold winters because you’ve thought there’s no way to get affordable temperature control with no duct work, contact us right away, before another extreme temperature wave hits. With Zimmerman Plumbing and Heating, you’ll get the best installers with the best techniques and the best parts and equipment, so there’s no reason to delay any longer. 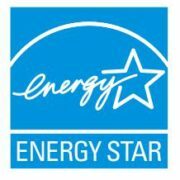 Contact us now for a completely free estimate on your new system installation.